History is a controversial issue in East Asia today. 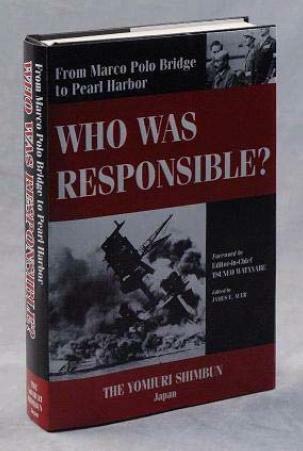 The Yomiuri Shimbun, the largest daily paper in Japan, with a right of center editorial position, has recently completed a year-long project to clarify Japanese leaders’ responsibility for the Pacific War. Such an undertaking is very rare in Japan. Takahiko Tennichi earned his B.L. at the Faculty of Law, University of Tokyo and his M.A. at The Paul H. Nitze School of Advanced International Studies, Johns Hopkins University. 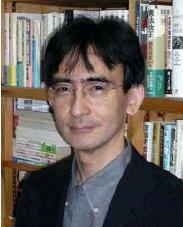 He began his career at Yomiuri in 1981 as a staff writer and later served as deputy editor of the Cultural News Department. He became an Editorial Writer in 2003. This entry was posted on Friday, January 5th, 2007 at 10:23 am	and is filed under Advice and Guide, Funny Junk, Interesting Stuff, Wonderful Things. You can leave a response, or trackback from your own site.